Pacific Sotheby’s International Realty, San Diego’s largest locally-owned and operated real estate firm, continued to experience unprecedented growth in San Diego County during 2015, closing out the year with a 31.7% increase in sales volume over the previous year, by far the greatest growth among the top five real estate companies in the county. Pacific Sotheby’s International Realty maintained the highest market share in several key communities across San Diego County and ranked as the number one company, among San Diego’s large real estate firms, for most per agent transactions. The company continued its office expansion, adding several key associates and locations across the county bringing its 2015 numbers to over 500 agents in 23 offices. During the past twelve months, Pacific Sotheby’s International Realty continued to increase their footprint in San Diego County by expanding with offices in the Inland Corridor, Rancho Santa Fe and Carlsbad. In February 2015, Pacific Sotheby’s International Realty launched their Architectural Division, offering clients distinctive representation and specialized marketing strategies needed to effectively sell historic and contemporary architect-designed properties. Zillow veteran, Chris Crocker, joined Pacific Sotheby’s International Realty as its Chief Operating Officer in 2015, to help drive further company expansion and enhance the company’s online media strategy. 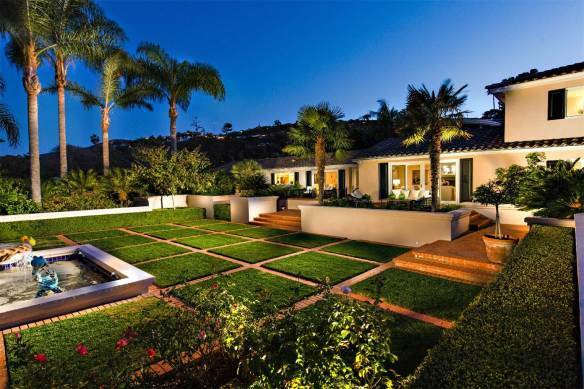 Pacific Sotheby’s International Realty was recognized by the San Diego Business Journal as one of San Diego’s Fastest Growing Private Companies as well as one of San Diego’s Largest Private Companies and was named San Diego’s Best Real Estate Company in 2015 by San Diego’s Best Union Tribune’s Readers Poll. Additionally the San Diego Association of REALTORS (SDAR) awarded Pacific Sotheby’s Realty’s Broker of Record, Rick Hagen the 2016 Broker of the Year Award of Excellence and Pacific Sotheby’s Realty’s General Manager, Mike Marmion received the 2016 Manager of the Year Award. New office locations set to open in 2016 are already in the works, including the new premier flagship office located at the iconic 1111 Prospect Street location in the heart of La Jolla, California, as well as in San Diego’s North County with the expansion of the Carlsbad and Del Mar offices. Pacific Sotheby’s Realty is comprised of over 500 agents in 23 offices throughout San Diego County. Pacific Sotheby’s Realty’s listings are marketed on sothebysrealty.com global website. In addition to the referral opportunities and widened exposure generated from this source, the firm’s brokers and their clients benefit from the association with the Sotheby’s auction house and worldwide Sotheby’s International Realty marketing programs. The Sotheby’s International Realty luxury network has 17,000 sales associates located in approximately 800 offices in 61 countries and territories worldwide and has established itself as a leading brokerage specializing in the luxury market niche but proudly serving all property types and price points.